The Eastern Oklahoma Medical Center is cooking up some good food. 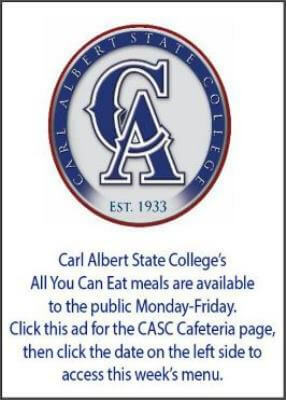 Check them out for lunch today! Wednesday, March 21 - BBQ Chicken Legs, Pizza, Baby Bakers, Catalina Veggies, Baked Beans. 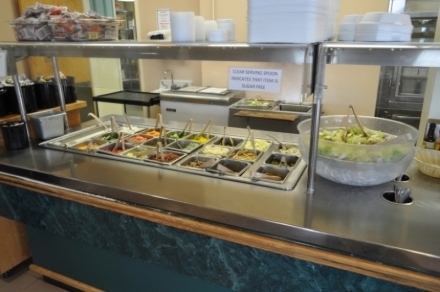 Thursday, March 22 - Grilled Hamburger & Hotdogs, Sub Sandwich, Chips, Chili Potato Salad, Cheese Soup, Ice Cream Bar. Friday, March 23 - Ham Steak, Manicotti, Baked Potato, Pepper Jack Mac & Cheese, California Veggies, Chicken Noodle Soup. Saturday, March 24 - Grill and Salad Bar only.